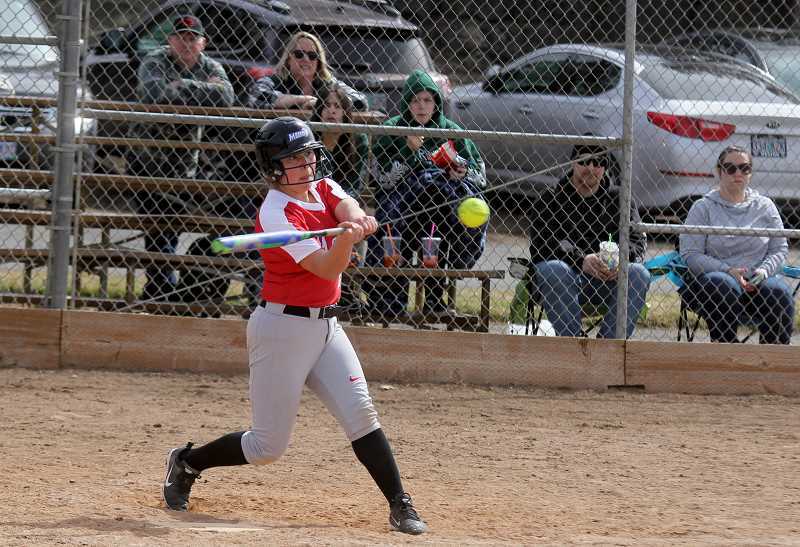 The Madras White Buffalos softball team played in the Redmond Spring Break tournament March 25-26 and won three out of four games. The March 25 game was played at Crook County because the fields in Redmond were not playable by then. The Lady Buffs lost to Cascade 12-2 in their first game of the tournament, but scored more than 20 runs in their 21-6 win over 6A Summit. 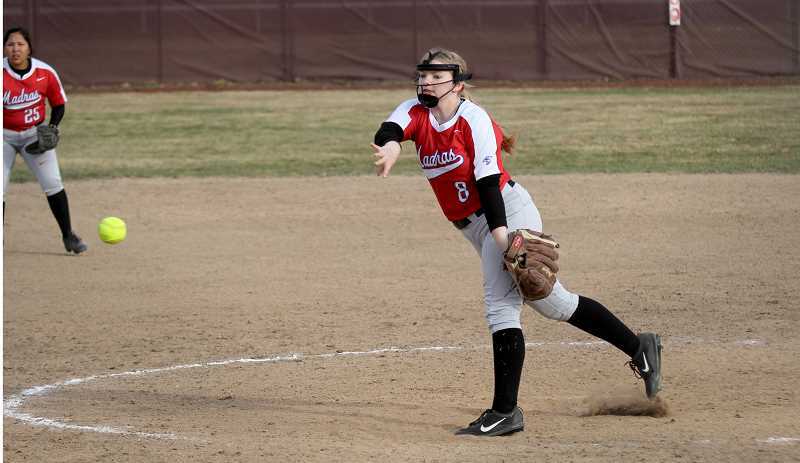 On March 26, Madras played at Redmond and came away with a 10-0 victory over 5A Wilsonville and a 14-7 win over 5A Redmond. Against Cascade, the Buffs couldn't get the bats going, despite ripping two home runs. In the second inning, freshman Marilyn Tom hit a home run and two batters later, sophomore Jayden Davis launched a homer. Unfortunately, those were the only runs for the Lady Buffs and they fell to the Cougars. Madras bounced back quickly in their second game for a big victory over Summit. A mix between good hitting and the Summit pitchers walking a lot of batters saw Madras score 21 runs. Lizzie Steuart led the Buffs, going 3-for-3 with a triple. Smith-Francis went 2-for-4 with a triple. Mary Olney finished with a double and Delaney Vibbert went 1-for-1. In the Wilsonville game, Steuart took the mound for the Lady Buffs. She held the Wildcats scoreless throughout the game. In the bottom of the first, Cochran was walked and Olney launched a ball to the outfield for a ground-rule double. Steuart was walked and the bases were loaded. Vibbert was walked, scoring Cochran. Tom hit an RBI single to right field and Madras took a 2-0 lead. In the bottom of the third inning, Tom hit a line drive down the first baseline and on her way to third, Wilsonville overthrew the third baseman and Tom scored. Madras scored on a passed ball and took a 4-0 lead heading into the fourth inning. Olney hit a double to left field in the bottom of the fourth and was hit home by a deep ball hit to center by Steuart. Smith-Francis hit a shot to the gap in center and right, scoring Steuart. 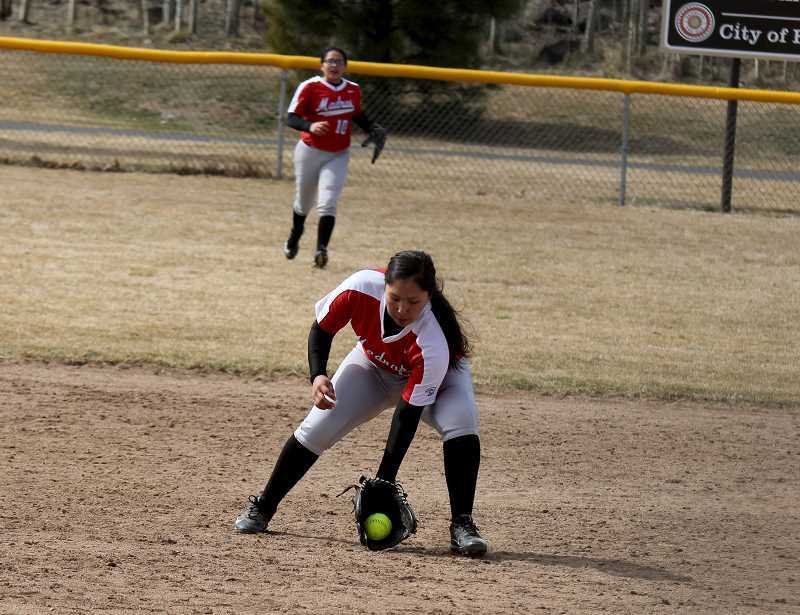 Natasha Lopez hit a grounder between second and third to start the bottom of the fifth. Scott laid down a bunt and beat the throw to first and stole second. Cochran hit a ball to center and Lopez scored on a tag at third. Olney hit another double, this time to left field, scoring Scott. Steuart stepped to the plate and blasted the ball to center field for an RBI. Smith-Francis ended the game with an RBI double to center and the Buffs beat Wilsonville 10-0 in five innings. After defeating Wilsonville, the Lady Buffs had to play the Redmond Panthers almost immediately following their victory. The White Buffalos were down 3-0 after the first two innings. In the third inning, Holcomb was walked, but thrown out at second after Tom hit a grounder to the second baseman. Cochran hit a grounder between second and third, advancing Tom to third. Tom scored on a passed ball and Olney hit the ball right down the third baseline, scoring Cochran. Olney stole second and Steuart hit a single to center for an RBI. Smith-Francis advanced Steuart to third with a line drive to center and the Buffalos took a 4-3 lead. The Panthers tied the game at 4-4 in the bottom of the third, but a big hit to center by Cochran in the fourth inning scored another Buffalo run. In the top of the sixth inning, Scott hit a double to center field and Tom walked. Cochran crushed the ball to right field scoring both Scott and Tom. A line drive double to left field by Olney scored Cochran and the Buffs took an 8-4 lead. 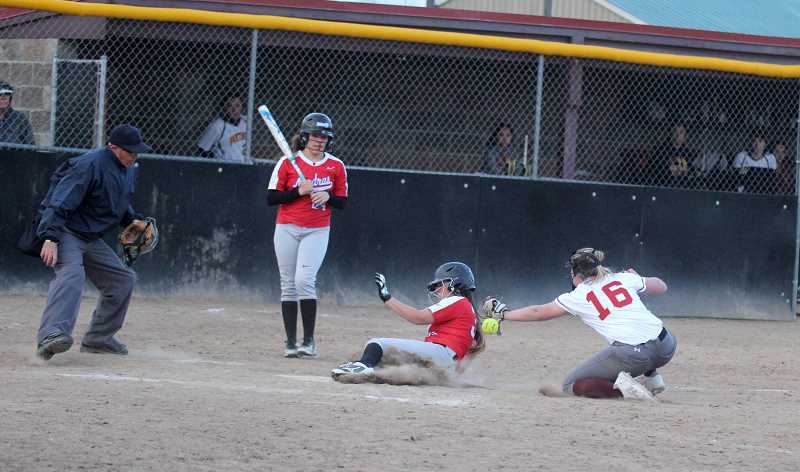 The Panthers kept fighting, scoring three more runs in the sixth inning and cutting the Madras lead down to 8-7. In the last inning, Scott hit a single to shallow right and Tom blasted a shot over the right field fence for a two-run homer. Cochran hit a double to center field and Olney beat a throw to first after she hit a grounder to third. Smith-Francis hit Cochran home with a shot down the third baseline and Vibbert stepped to the plate, hitting a two-RBI double to center field. Vibbert stole third base on a passed ball and later scored a run on another Panther passed ball. The White Buffalos moved to 4-2 on the year after beating Redmond 14-7. They have a home game at 4:30 p.m. Friday, March 5.